By Medora Corporation based in Dickinson, NORTH DAKOTA (USA). Controlling algae, cyanobacteria and fouling efficiently with ultrasound to reduce taste and odor problems in the treatment plant. Prevent taste and odor problems. 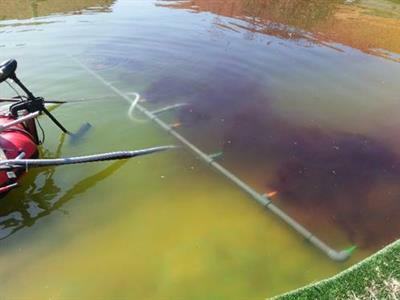 Control fouling in sand filters and clarifiers. Improve coagulation and flocculation processes. By Biosensor based in Formello, ITALY.